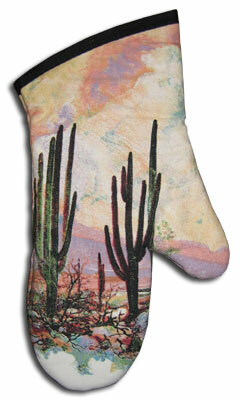 These cloth mitts are 100% Polyester with 50/50 Cotton/Polyester bindings and quiltwork. The print will match up with the classic "Desert Sunset" artwork that is popular with many different decor sets. Sewn and Printed in USA on imported fabric.